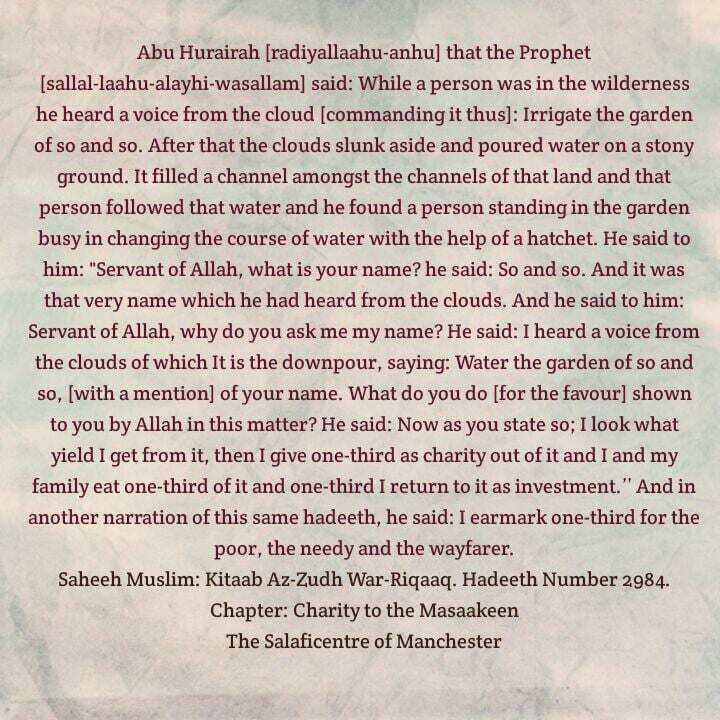 Abu Hurairah (radiyallaahu-anhu) that the Prophet [sallal-laahu-alayhi-wasallam] said: While a person was in the wilderness he heard a voice from the cloud [commanding it thus]: Irrigate the garden of so and so. After that the clouds slunk aside and poured water on a stony ground. It filled a channel amongst the channels of that land and that person followed that water and he found a person standing in the garden busy in changing the course of water with the help of a hatchet. He said to him: Servant of Allah, what is your name? he said: So and so. And it was that very name which he had heard from the clouds. And he said to him: Servant of Allah, why do you ask me my name? He said: I heard a voice from the clouds of which It is the downpour, saying: Water the garden of so and so, (with a mention) of your name. What do you do (for the favour) shown to you by Allah in this matter? 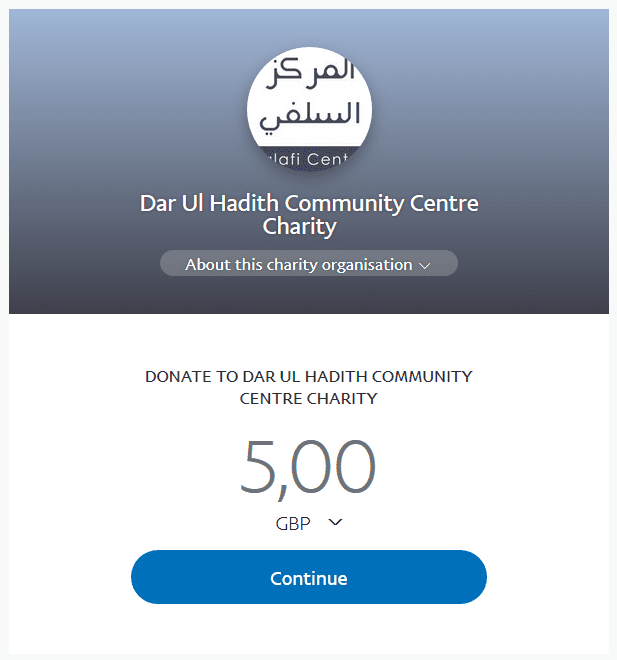 He said: Now as you state so; I look what yield I get from it, then I give one-third as charity out of it and I and my family eat one-third of it and one-third I return to it as investment.’’ And in another narration of this same hadeeth, he said: I earmark one-third for the poor, the needy and the wayfarer.